Satyric is the most thinly attested genre of Greek drama, but it appears to have been the oldest and according to Aristotle formative for tragedy. By the 5th Century BC at Athens it shared most of its compositional elements with tragedy, to which it became an adjunct; for at the annual great dramatic festivals, it was performed only together with, and after, the three tragedies which each poet was required to present in competition. It was in contrast with them, aesthetically and emotionally, its plays being considerably shorter and simpler; coarse and half-way to comedy, it burlesqued heroic and tragic myth, frequently that just dramatised and performed in the tragedies. 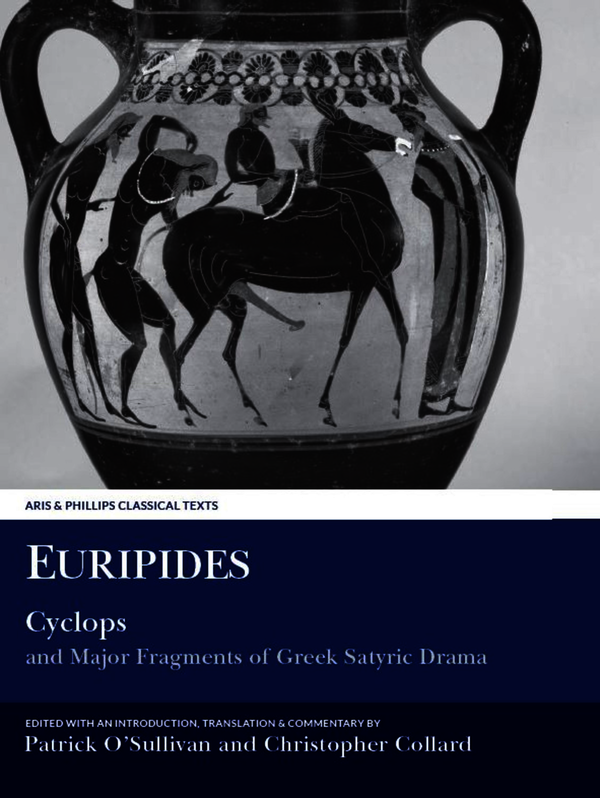 Euripides'Cyclops is the only satyr-play which survives complete. It is generally held to be the poet's late work, but its companion tragedies are not identifiable. Its title alone signals its content, Odysseus' escape from the one-eyed, man-eating monster, familiar from Book 9 of Homer's Odyssey. Because of its uniqueness, Cyclops could afford only a limited idea of satyric drama's range, which the many but brief quotations from other authors and plays barely coloured. Our knowledge and appreciation of the genre have been greatly enlarged, however, by recovery since the early 20th Century of considerable fragments of Aeschylus, Euripides' predecessor, and of Sophocles, his contemporary - but not, so far, of Euripides himself. This volume provides English readers for the first time with all the most important texts of satyric drama, with facing-page translation, substantial introduction and detailed commentary. It includes not only the major papyri, but very many shorter fragments of importance, both on papyrus and in quotation, from the 5th to the 3rd Centuries; there are also one or two texts whose interest lies in their problematic ascription to the genre at all. The intention is to illustrate it as fully as practicable. Christopher Collard, Emeritus Professor of Classics, The Queen’s College, Oxford, was formerly Professor of Classics at the University of Swansea until 1996. He has published widely on tragedy and Euripides in particular. His work includes editions with commentary of Euripides, Suppliant Women (1975, 1984) and Hecuba (1991), and he is co-editor of Selected Fragmentary Plays of Euripides (1995, 2004) and Iphigenia at Aulis (2017). He was General Editor of the Aris & Phillips Classical Texts series from 2007-2016.